Samtoy Books in cooperation with Origami Pilipinas is proud to present the first ever Origami Masterworks Exhibit that highlights the evolution of origami from traditional to functional form of paper art, with featured works by several artists all over the Philippines showcasing the power and potential of contemporary origami. This is going to be a 3-day exhibit showcasing everything origami. Tickets are now available for only P30! 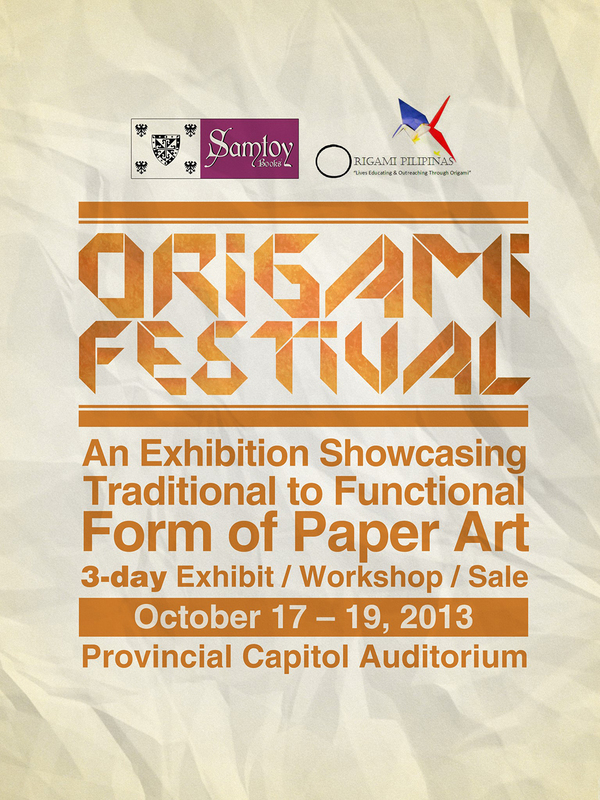 SPREAD THE WORD and together we discover the beauty of paper folding as an art! :) See you there!